Kids say the darnest things. They are constantly telling stories that can bring a little humor to a situation. 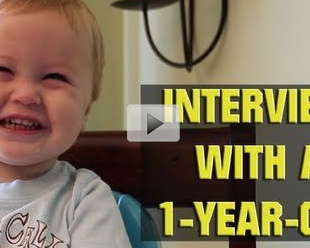 In this video, one dad interviews his one-year-old son. He asks a range of questions from life at home to the capture of Osama Bin Laden. Take a few minutes and watch what this cute little boy has to say.